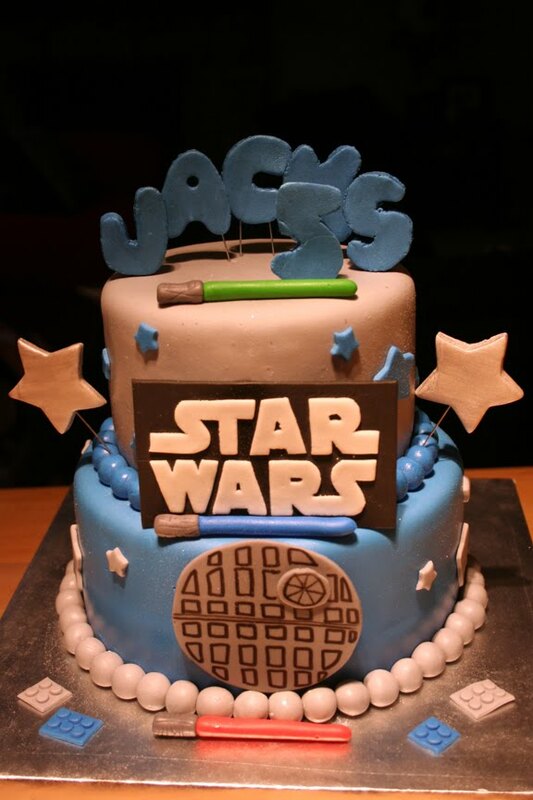 Frosted Garden: Mario Bomb, Star Wars, Cookie Bouquet, and Go Away cakes! Mario Bomb, Star Wars, Cookie Bouquet, and Go Away cakes! Here are the cakes from the last two weeks! This one was made for our nephew, Miles, for his 4th birthday! Miles loves Mario and wanted a cake that showed just how much! 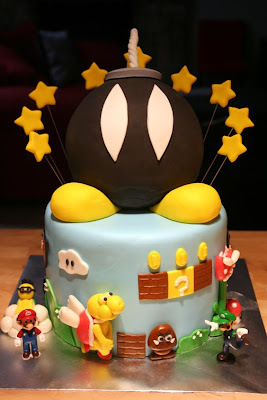 Mario is super popular right now but we had a really good time with this cake! This cake was made for a friend's son, for his 5th birthday! Super happy with the way this turned out! 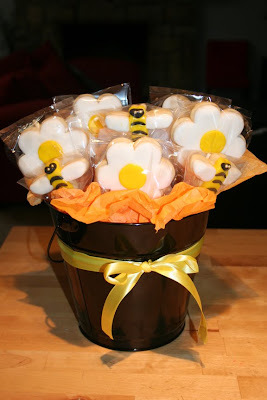 This bouquet was a thank you gift - the daisies and bees are NFSC with rolled buttercream and royal icing details! This cake is super funny to me. 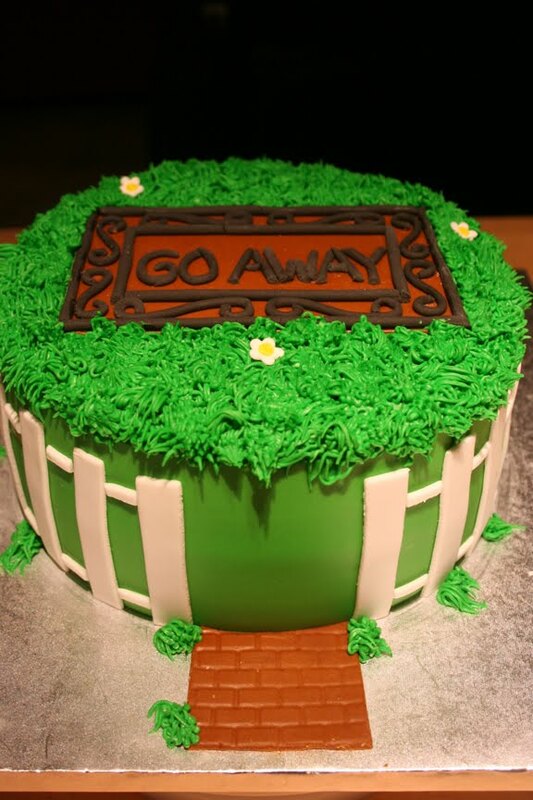 It's a housewarming cake that showcases the couple's personality! We had a good time doing this cake, we have the same door mat (even if it is on the back porch). I have been meaning to email you! They LOVED LOVED LOVED this cake! It was a major hit at the party! Thank you so much for making it! These are all very beautiful. Expertly done. Especially love the bumble bee. Nice!